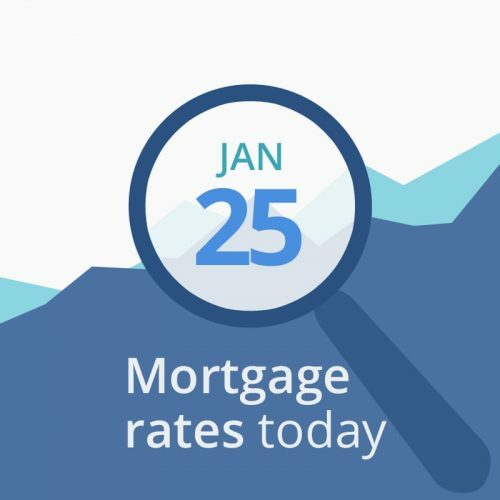 Average mortgage rates today are nearly unchanged from yesterday’s. That is in part due to Congress and the White House’s failure to end the government shutdown yesterday. We don’t get a lot of economic reporting when the agencies that create the reports are on furlough. This means mortgage rates will likely take their cues from the economic data below, especially stocks, oil and Treasuries. In addition, any news that causes instability is likely to send rates lower. On the other hand, news of a potential end to the shutdown could cause interest rates and stock prices to increase. Today’s financial data are mixed but mostly bad for mortgage rates. Investors and borrowers have little to go on with the government shutdown and almost no economic reporting. That is why there were almost no changes to average mortgage rates today. But indicators point to higher rates. I believe that until the President and Congress resolve the shutdown, the prospect of a recession is very real. But when they do, mortgage rates are likely to spike. If I were closing soon, I’d grab my rate today while they are down. If my closing was not scheduled for several weeks, I would float and take my chances.